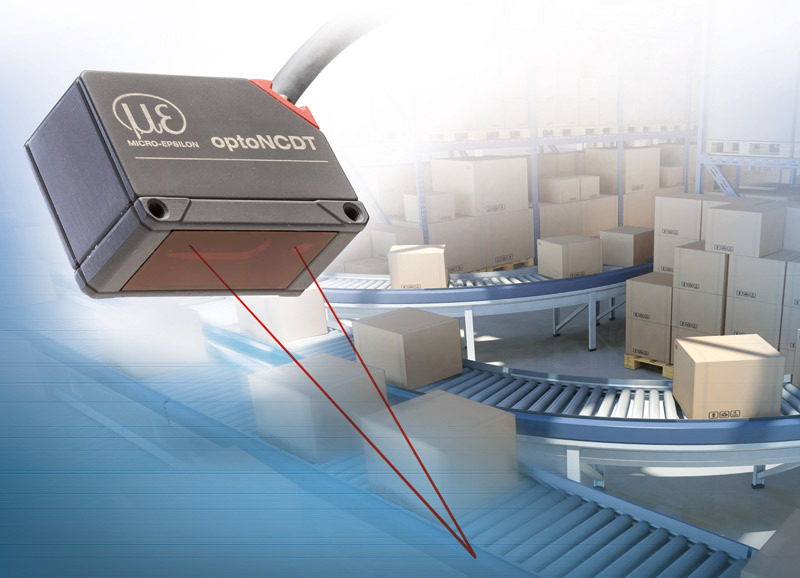 The optoNCDT 1420 laser sensors offer a unique combination of speed, size, performance and application flexibility. Their high measurement accuracy and measuring rate enable dynamic displacement, distance and position measurements up to 4kHz. The new optoNCDT 1420-500 laser sensor is the worldwide smallest laser sensor with a 500mm measuring range and the fields of application are therefore wide-ranging. The compact optoNCDT 1420 is used in sorting tasks, warehouse logistics, warehouse automation and robotics but also in the electronics production, wood processing, medical engineering, laser engraving equipment and machine building. Furthermore, the laser sensors stand out due to their excellent price/performance ratio, an innovative web interface and their ease of use. The measurement task can be selected using the quality slider and can be further optimized using the video signal display, signal peak selection and individually adjustable signal averaging. The ROI function (region of interest) allows e.g. for interfering signals in the background to be filtered out. The multifunction button enables quick sensor commissioning for easy measurement tasks.